If you’re going to be standing in a queue to use any one machine at the gym, it’s likely to be the Leg Curl machine. Popular for building strong and shapely hamstrings, the Leg Curl machine never goes astray in any serious workout regime. Apart from the aesthetic aspect of having a juicy set of hamstrings, they form a significant link in your posterior chain and need to be strong and well maintained to keep you moving well through life! Weak hamstrings are a recipe for sore knees, tight hips and general poor mobility. No thank you! But, what if you don’t have access to a leg curl machine? Are there leg curl alternatives that effectively target these major muscles? Rest assured, there are! Read on to find out exactly how to get those hamstrings burning – at home! Can I Train My Hamstrings Without A Leg Curl Machine? The Leg Curl machine targets your hamstrings through having you bend your knees against resistance. The contraction and extension of the hamstrings in this movement is what builds both strength and size in these muscles. Read more about the importance of strong hamstrings here. When it comes to training your hamstrings, there happens to be a few options, some requiring little to no equipment. These can be done from the comfort of your home gym. Bonus! Read on to learn about the different alternatives and how to do them below! This exercise requires no equipment – loungeroom friendly! Single Leg Hip Extensions are a unilateral exercise and primarily target your hamstrings by contracting them whilst partially loaded with your body weight. To correctly perform these, lie on your back with your knees bent at 90º and your feet, hip width apart on the floor. From here, raise one leg and hold it suspended. You are then required to push your hips and lower back up (as one unit) through the stabilising leg, keeping your weight centered in your heel. At the top of the movement you should feel your hamstring fully engaged. Keep your reps slow for maximum time under resistance. Try 3 seconds up, 3 seconds down and 15 reps on each leg. Note, for beginners – you can try this exercise with both feet on the floor at first and build up to doing it single sided! As the name suggests, this one kicks your stabilizers into action! If you like to ‘feel the burn’, then this exercise is for you! Stability Ball Leg Curls follow the same movement pattern as the Leg Curl machine, so make for a perfect at home alternative. You need a stability ball to perform this exercise. If you don’t already have one, they are an ideal accessory to any home gym, with a never-ending list of exercises that can be done! If you’re stuck for options, check these ones out here. To do this exercise, start by lying on your back with your arms resting on the floor by your side and your palms facing down. Have your feet, ankles and lower legs resting on the stability ball. From here, push your hips up and curl the stability ball towards you by simultaneously bending your knees, and pushing your hips up! Hold at the top of the movement for a second, and then in a controlled fashion, return to the starting position by straightening your legs. Keep your hips off the floor for the rest of your reps. Only rest totally on the floor at the end of your rep range. Try 15 reps of these bad boys! A great example of a Lying Leg Curl is the Dumbbell Leg Curl as it exactly replicates the movement, but the resistance is applied differently (which makes it harder). You only need one dumbbell of an appropriate weight to perform this exercise. It’s important to get the movement right, moreover, the positioning of the dumbbell – that’s an accident you don’t want to have! To do this exercise correctly lie on the floor with a dumbbell placed between your feet (hold the ‘bell’ of the dumbbell between the middle of your feet). Start with your feet close to the ground and from here lift the dumbbell, by bending your knees and contracting your hamstrings. Once you get to just over a 90º bend in your knees, lower the dumbbell back down to starting position. Complete your reps slowly, and make sure you always have a firm hold on the dumbbell. Try anywhere between 8 to 15 reps. And if you’re up for an extra challenge, you can also try this exercise on an incline bench, for extra range of movement! If you’re in need of some dumbbells for your home gym to do exercises like these, you can have a look at some here. 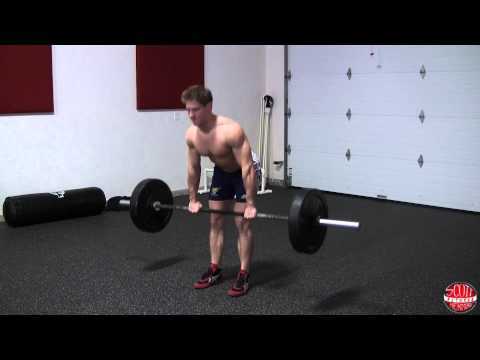 One of my personal favorites, the Barbell Stiff Leg Deadlift. I love this exercise, not only because it’s one of the best posterior chain strength exercises there is, but also because it provides endless room for progression. 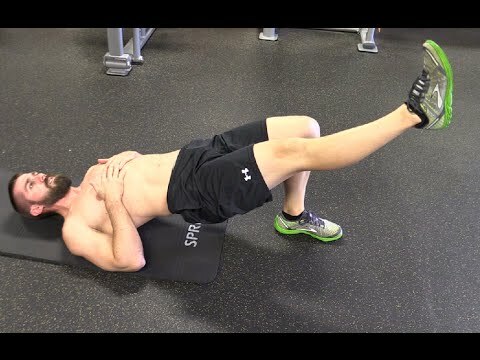 I would happily ditch the machines for this Hamstring Curl alternative. The technique is everything when it comes to this exercise! 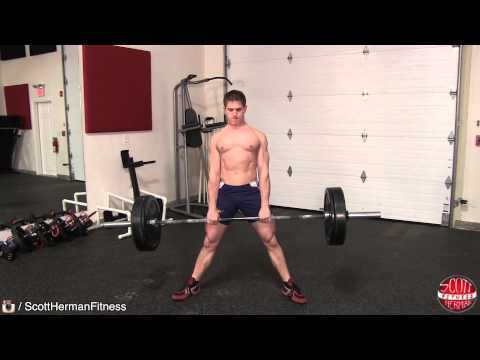 You will need a barbell to complete the Stiff Leg Deadlift. Hold the bar in a neutral, overhand grip. Stand with your feet shoulder width apart and a soft bend in your knees – this is your starting position. Without flexing further at the knees, keep a neutral spine and lower the bar down your legs by hinging at the hips. Your end of range is when you feel a stretch in your hamstrings or you are unable to maintain a neutral spine (whatever comes first). From here, engage through your glutes and come back up to starting position. If you’re on the lookout for some barbells to complete your home gym (and complete this exercise), here is some good advice. The reps you complete in this exercise would be specific to the weight you use, but commonly this exercise is performed for 5 to 15 reps.
Not for the faint-hearted! This one is the biggest deal of all the Leg Curl alternatives that exist, in my opinion! And it’s best done with a friend… to hold your feet. Or you can anchor your feet under something stable, but where’s the fun in that? This exercise is difficult. You may need to try it with a bit of assistance the first time round, which you can use a Bosu Ball for. To perform the Floor Hamstring Raise, be in a kneeling position with your feet anchored down firmly. Without flexing through your hips or bending through your back, lower yourself towards the ground, effectively holding your body weight on your hamstrings and core. Land with your hands on the floor. And then – yes, you don’t get to face plant now – you need to push yourself back up to starting position off your hands, pulling with your hamstrings, maintaining your straight body line. To start with, this exercise is best done in partial reps or with the use of a Bosu Ball positioned in front of you to reduce your range of movement. The amount of reps you perform would be entirely up to your current level of strength and conditioning. Start slow! This version of the Deadlift requires maximum output from your hamstrings (amongst everything else) and deserves the good wrap it has. Again, this exercise is better suited to the more seasoned lifter, as it requires control and a general level of strength that is built over time. To get an in-depth insight into the Sumo Deadlift, check this out. An Olympic Barbell is required for this lift and some lifting pads/mats would go down a treat, especially if you’re lifting heavier weights. 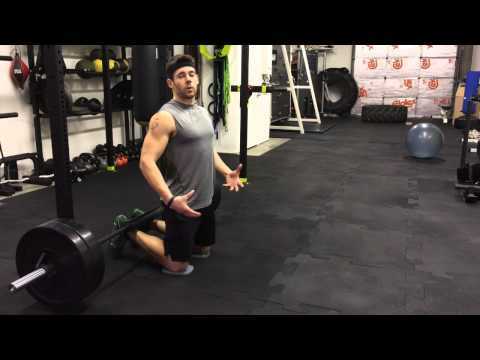 The Sumo Deadlift requires a wider stance than the traditional Deadlift, thus putting you in a position whereby you can create torque through your adductors and pull-power through your hamstrings. To perform this lift, have the barbell on the floor, loaded with weight plates. Have your legs touching the bar with your feet positioned wide – towards the collars. Note, your placement will depend on your level of mobility. Bend your knees and bend forward at your hips, gripping the bar on extended arms, shoulder width apart. You can use a pronated grip, or a mixed grip. From here, sit your hips further down, engage through your lats, drive through the floor, and lift the bar to your knees before starting to straighten out at your knees and hips. At the top of the movement, draw your shoulders back and squeeze your glutes. Then return to starting position by bending at your hips, and then your knees. Your head, neck and back should remain neutral throughout the lift. My hamstrings felt the burn just writing this! 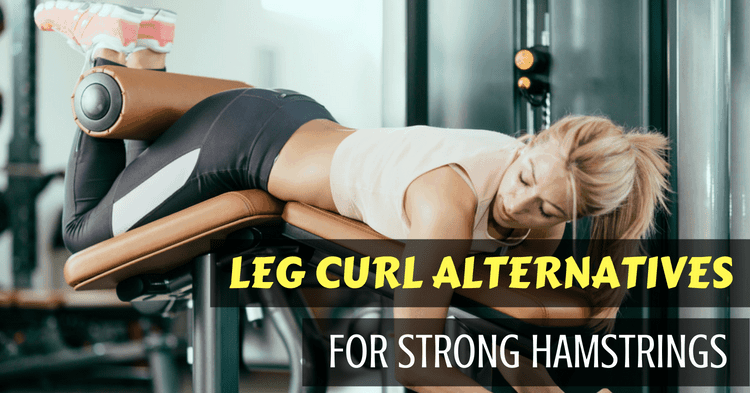 I hope you enjoyed this article and feel confident in trying out some of these leg curl alternatives in your next workout. Remember, hamstrings form a crucial link in our posterior chain which is vital for movement, and moreover, pain free movement. It’s important to keep them strong and conditioned. Weak muscles equal tight muscles, and tight hamstrings can inhibit you. Not having access to a Leg Curl machine is no reason to neglect your hamstrings. As you can see, there are plenty of exercises worth noting, that will give your hamstrings a good run for their money.